I am hosting a Beanitos Giveaway on Fullybooked.biz. Open to residents in the USA and Canada. 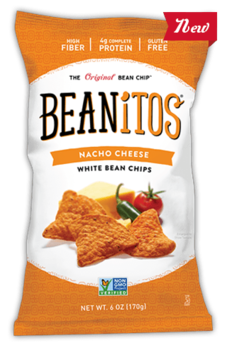 Beanitos is a healthy snack made from black, navy and pinto beans and whole grain rice. Read my recent review here: http://www.examiner.com/review/beanitos-the-bean-chips. The question of the giveaway is: Where did the Navy Bean get its name from? The winner will get a case of their preferred Beanitos flavor. Each reader who enters the giveaway has to "like" Beanitos on Facebook. I am not an expert in Banh Mi sandwiches. The only thing I know is that Banh Mi is probably the only sandwich I eat and I don't get rid of the bread. Saigon Deli in International District is said to make one of the best Banh Mi in Seattle and I would agree. A perfect balance of grilled pork, majo, cilantro, chili peppers and carrots come together in a freshly made, warm and crunchy baguette. No more to day. It is pure pleasure.